Welcome to our latest edition that already finds us half way through a fast paced year. To date, 2015 has seen a flourishing market. Record low interest rates are now down to 2% and the fundamentals remain strong with steady population growth and limited supply of housing product. As government agencies attempt to deter interest by imposing restrictions on bank lending, the media hypes up the supposed housing bubble. 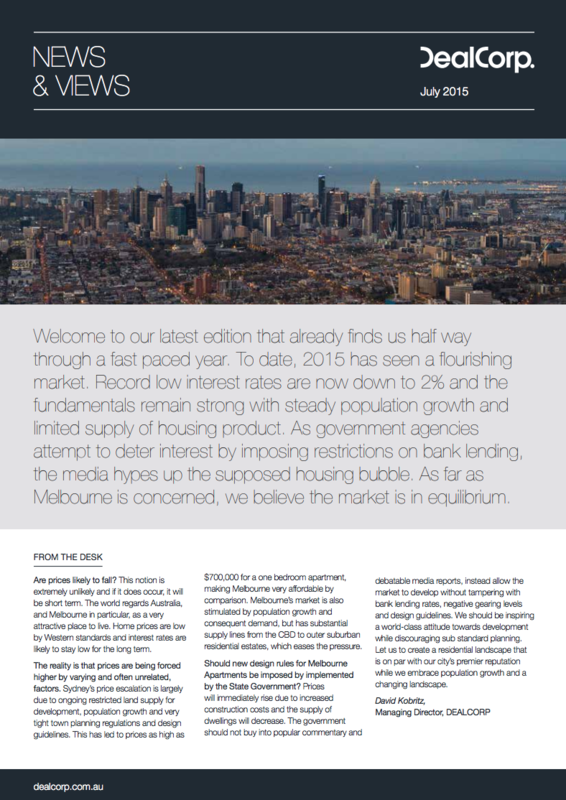 As far as Melbourne is concerned, we believe the market is in equilibrium.